The snow finally fell! Last Wednesday morning, we woke to about 2 inches of snow on our front lawn and that is when the excitement began. My boys were ecstatic and wanted to stay home from school to play in the snow. Of course, we had to go to school and I knew that once there, my first graders would be just as thrilled. I decided to put aside my carefully planned activities for the morning and quickly created the necessary pieces for the students to do some snowy writing. 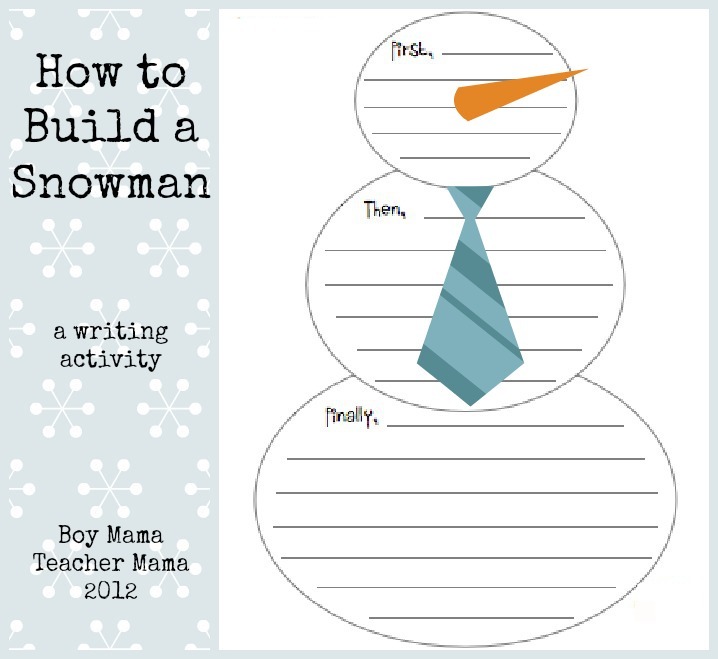 I came up with a writing activity called, How to Build a Snowman. 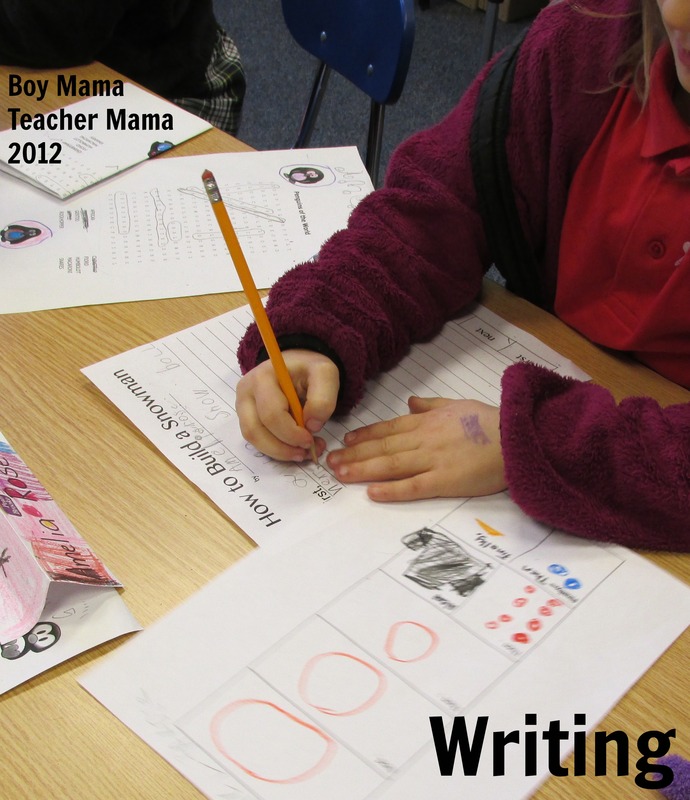 My students had so much fun with this activity and learned a great deal about writing directions. 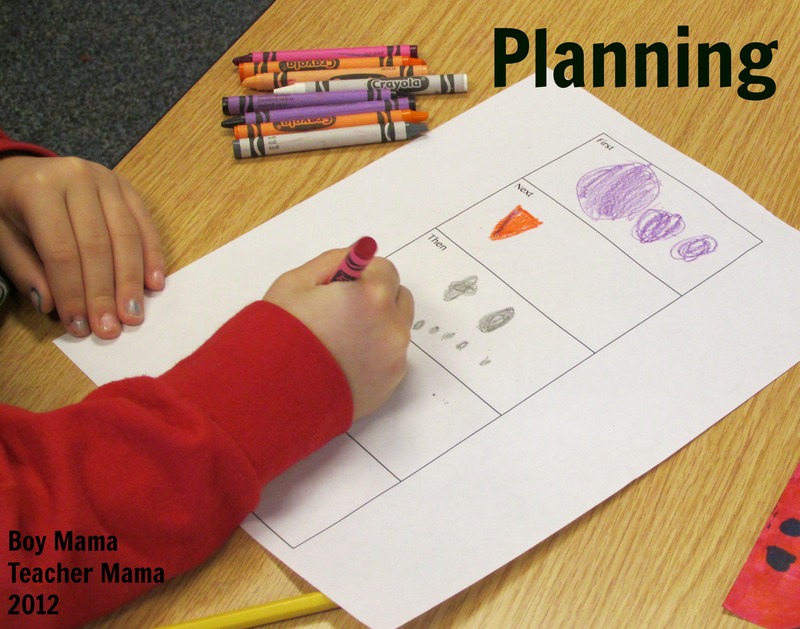 First, I gave the students what I call a “think sheet.” A think sheet is a place where they can organize their thoughts with drawings or words. 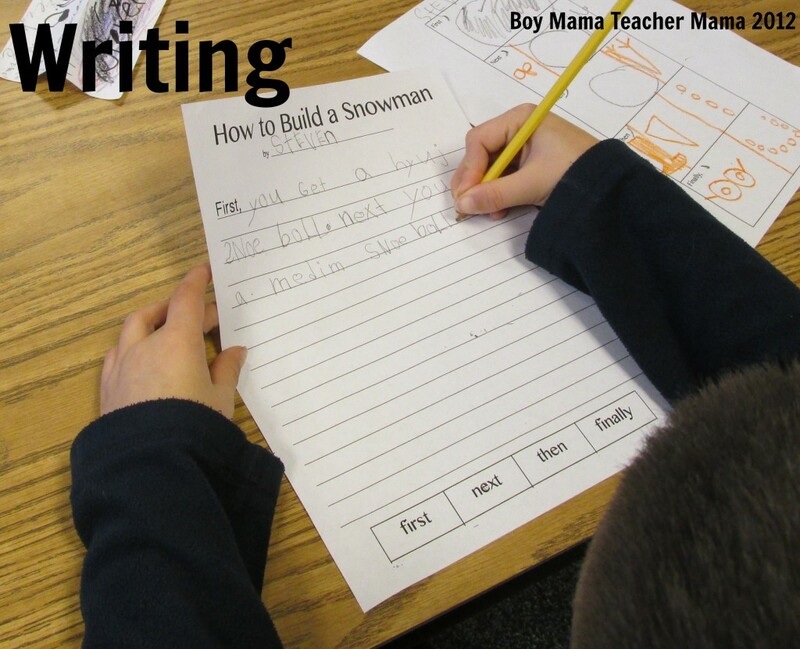 In this case, the students all drew the steps for building a snowman first. I used the prompt words, “first,” “then,” “next,” and “finally” to help them organize their writing. After drawing their ideas, the students took their “think sheet” and put it into words. You can see both the “think sheet” we used and the final writing paper in the following pictures. 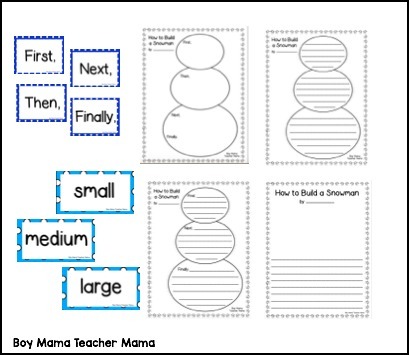 The nice thing about this activity was that it was adaptable for all learning levels and at the same time allowed all the children to be creative and share their directions for building a snowman. Leave out the words first, next, finally and have students simply write their instructions in their own way as long as it stays true to the assignment and makes sense. After all was said and done, this was a wonderful writing and learning experience for all the students. I wanted to share this with you all so I spiffed it up a bit and made it look pretty. 🙂 Here is what I came up with. If you like it and are interested in having a copy for yourself or your class, click the following link for details about purchase.